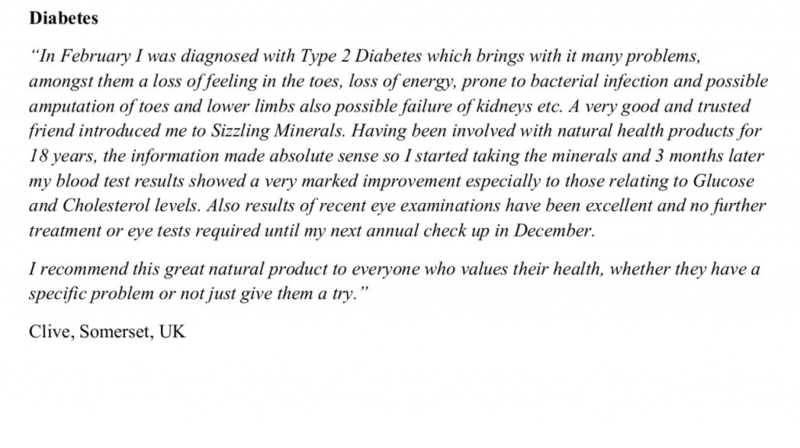 Home→Health & Wellness→Sizzling Mineral Testimonials→Diabetes→A testimonial for Sizzling Minerals! ← Never felt A Thing!! 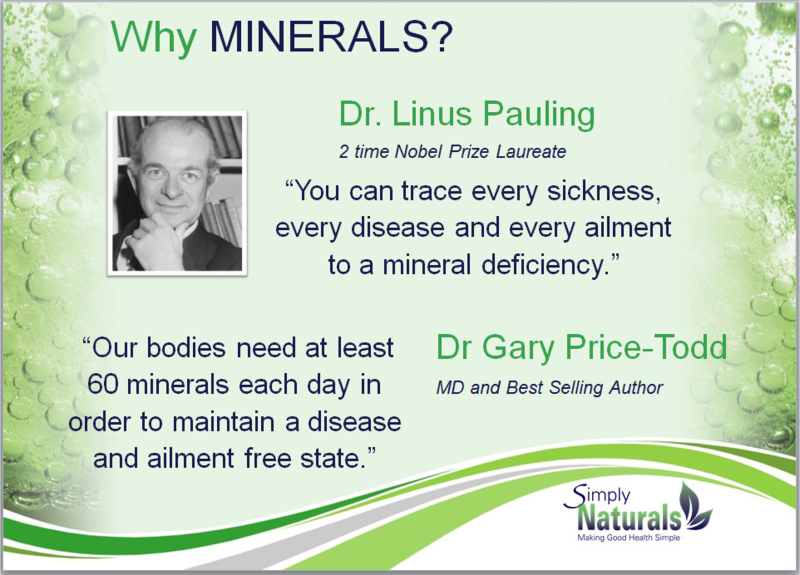 This has to be a very good reason to look further into how the Sizzling Minerals could help you and anyone you know. In February I was diagnosed with Type 2 Diabetes which brings with it many problems, amongst them a loss of feeling in the toes, loss of energy, prone to bacterial infection and possible amputation of toes and lower limbs also possible failure of kidneys. A very good and trusted friend introduced me to Sizzling Minerals. Having been involved with natural health products for 18 years, the information made absolute sense so I started taking the minerals and 3 months later my blood test results showed a very marked improvement especially to those relating to Glucose and Cholesterol levels. Also results of recent eye examinations have been excellent and no further treatment or eye tests required until my next annual checkup in December. I recommend this great natural product to everyone who values their health, whether they have a specific problem or not – just give them a try.